Please join me in welcoming Cliff Moore, America’s PMO Lead for Critical Facilities Consulting at HP; John Bennett, Worldwide Director of Data Center Transformation Solutions at HP, and John Vann, Vice President of Technical Infrastructure and Operations at Valero Energy Corp. 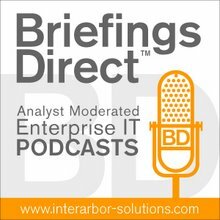 The discussion is moderated by BriefingsDirect's Dana Gardner, principal analyst at Interarbor Solutions. Bennett: If you had spoken four years ago and dared to suggest that energy, power, cooling, facilities, and buildings were going to be a dominant topic with CIOs, you would have been laughed at. Yet, that's definitely the case today, and it goes back to the point about IT being modern and efficient. Data-center transformation, as we've spoken about before, really is about not only significantly reducing cost to an organization -- not only helping them shift their spending away from management and maintenance and into business projects and priorities -- but also helping them address the rising cost of energy, the rising consumption of energy and the mandate to be green or sustainable. You have organizations that discover that the data centers they have aren't capable of meeting their future needs. ... All of a sudden, you discover that you're bursting at the themes. ... [You] have to support business growth by addressing both infrastructure strategies, but probably also by addressing facilities. That's where facilities really come into the equation and have become a top-of-mind issue for CIOs and IT executives around the world. You'll need a strong business case, because you're going to have to justify it financially. You're going to have to justify it as an opportunity cost. You're going to have to justify in terms of the returns on investment (ROIs) expected in the business, if they make choices about how to manage and source funds as well. One of the things that's different today than even just 10 years ago is that the power and networking infrastructure available around the world is so phenomenal, there is no need to locate data centers close to corporate headquarters. You may choose to do it, but you now have the option to locate data centers in places like Iceland, because you might be attracted to the natural heating of their environment. It's a good time [for data center transformation] from the viewpoint of land being cheap, but it might be a good time in terms of business capital. Moore: The majority of the existing data centers out there today were built 10 to 15 years ago, w hen power requirements and densities were a lot lower. People are simply running out of power in their data centers. The facilities today that were built 5, 10, or 15 years ago, just do not support the levels of density in power and cooling that clients are asking for going to the future, specifically for blades and higher levels of virtualization. Some data centers we see out there use the equivalent of half of a nuclear power plant to run. It's very expensive. It's also estimated that, at today's energy cost, the cost of running a server from an energy perspective is going to exceed the cost of actually buying the server. We're also finding that many customers have done no growth modeling whatsoever regarding their space, power, and cooling requirements for the next 5, 10, or 15 years -- and that's critical. We’ve got to find out first off what they need -- what space, power, and cooling requirements. Then, based on the criticality of their systems and applications, we quickly determine what level of availability is required, as well. This determines the Uptime Institute Tier Level for the facility. Then, we go about helping the client strategize on exactly what kinds of facilities will meet those needs, while also meeting the needs of the business that come down from the board. ... We help them collaboratively develop that strategy in the next 10 to 15 years for the data center future. One of the things we do, as part of the strategic plan, is help the client determine the best locations for their data centers based on the efficiency in gathering free cooling, for instance, from the environment. One of the things that the Valero is accomplishing is the lower energy costs, as a result of building their own data centers with a strategic view. Vann: Valero is a Fortune 500 company in San Antonio, Texas and we're the largest independent refiner in the North America. We produce fuel and other products from 15 refineries and we have 10 ethanol plants. [The existing facility] is about seven years old and had been remodeled once. You have to realize Valero was in a growth mode and acquiring refineries. We now have 15 refineries. We were consolidating quite a bit of equipment and applications back into San Antonio, and we just outgrew it. As we did our economics, it was just better for us to be able to build our own facility. We were able to find land northwest of San Antonio, where several data centers have been built. We began our own process of design and build for 20,000 square feet of raised floor and began our consolidation process. Power and cooling are just becoming an enormous problem and most of this because virtualization blades and other technologies that you put in a data center just run a little hotter and they take up the extra power. It's pretty complex to be able to balance your data center with cooling and power, also UPS, generators, and things like that. It just becomes really complex. So, building a new data center really put us in the forefront. 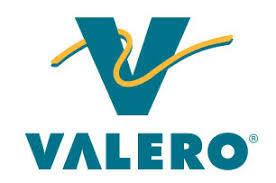 We had a joint team of HP and the Valero Program Management Office. It went really well the way that was managed. We had design teams. We had people from networking architecture, networking strategy and server and storage, from both HP and Valero, and that went really well. Our construction went well. Fortunately, we didn’t have any bad weather or anything to slow us down; we were right on time and on budget. Bennett: Modernizing your infrastructure brings energy benefits in its own right, and it enhances the benefits of your virtualization and consolidation activities.